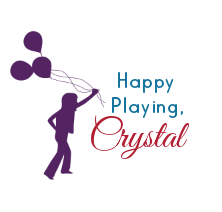 This next activity was SO FUN! 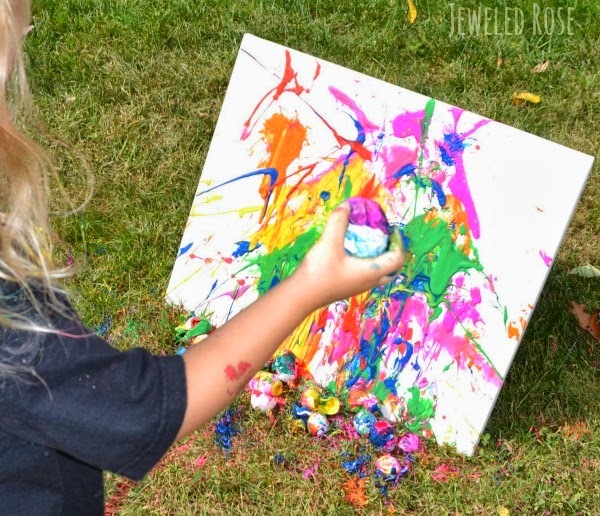 We filled eggs with paint, and then tossed them at canvas to make the most amazing pieces of art! 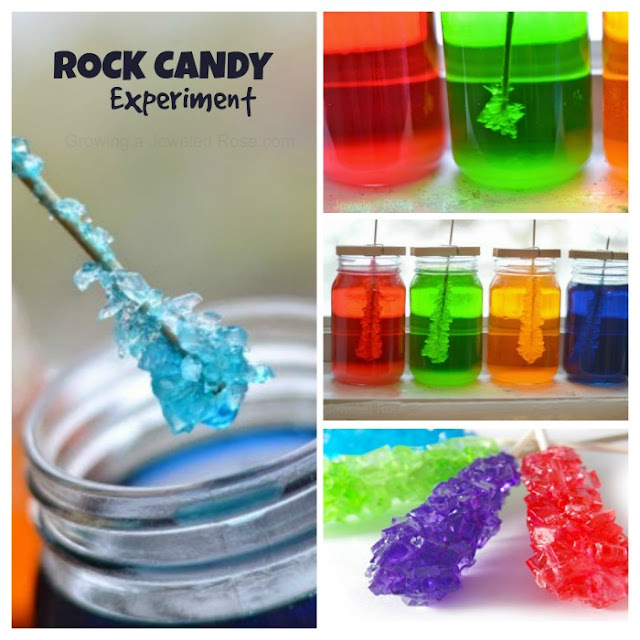 My kids had so much fun with this activity that you really must give it a try! Are you ready to see how? 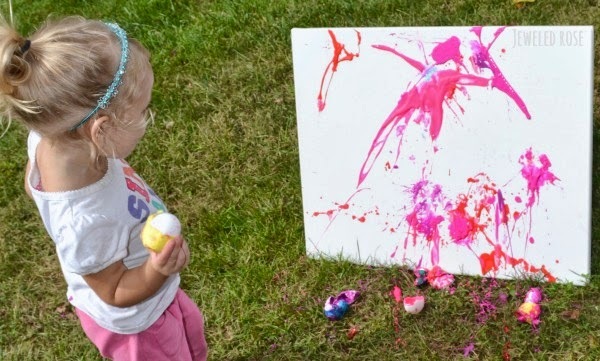 What kid wouldn't love to toss paint filled eggs? This was EPIC kid fun, and the set-up was really easy, too! You want to begin by emptying out the desired amount of eggs. We save our eggshells as we make breakfast and then fill them with paint once we have enough. 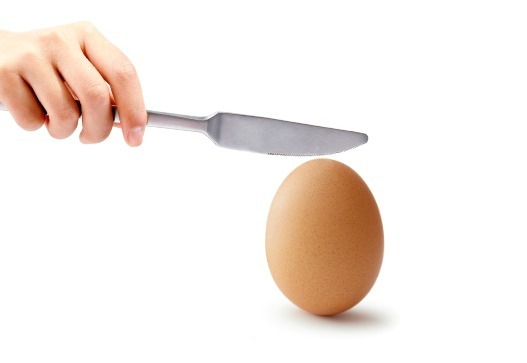 Use a butter knife to gently crack the top of the egg(s). Then, carefully use your fingers to peel away enough shell for the yolk to pass through. 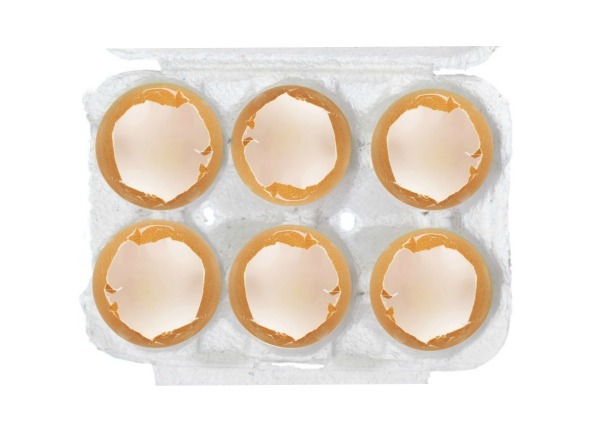 Break the loose shell fragments away before emptying the egg to make sure shells don't end up in your breakfast. Then, empty the yolk(s) into a bowl. 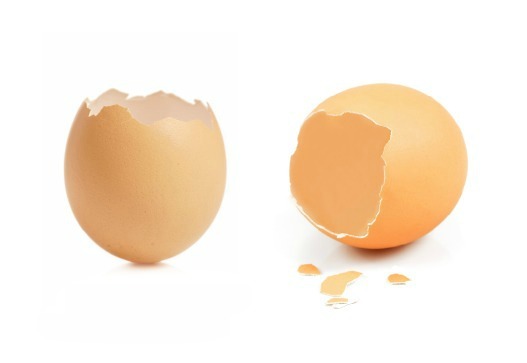 Carefully wash the empty eggshells with warm water and antibacterial soap. 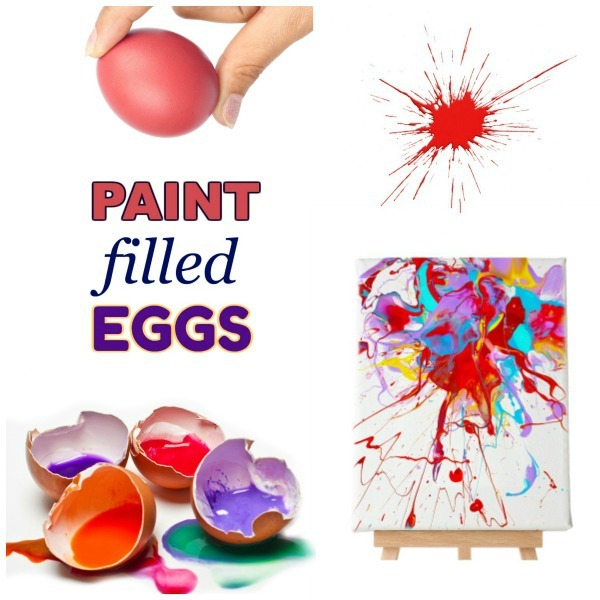 Once your empty eggshells are dry it is time to fill them with paint! 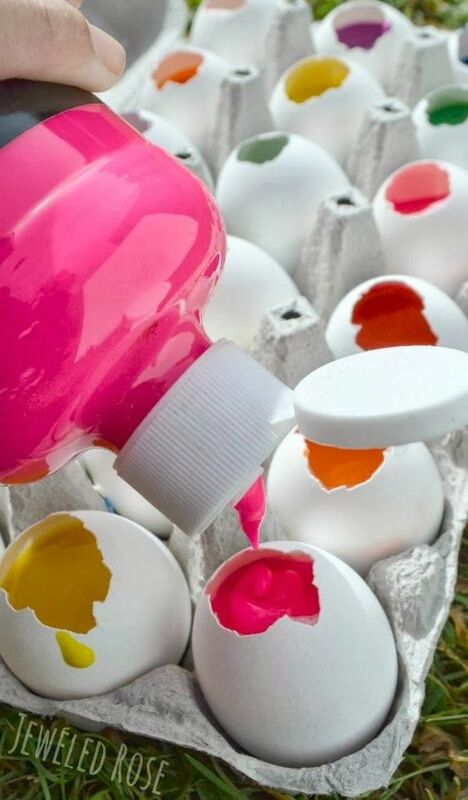 Fill the eggs with varying colors of paint. 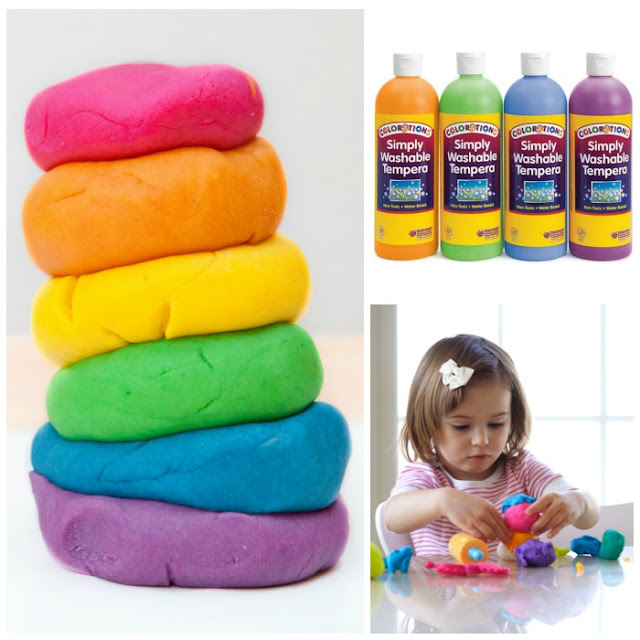 You can use washable paint or acrylic paint. Then, take a tissue paper square and use a glue stick to carefully secure the paper over the egg opening. 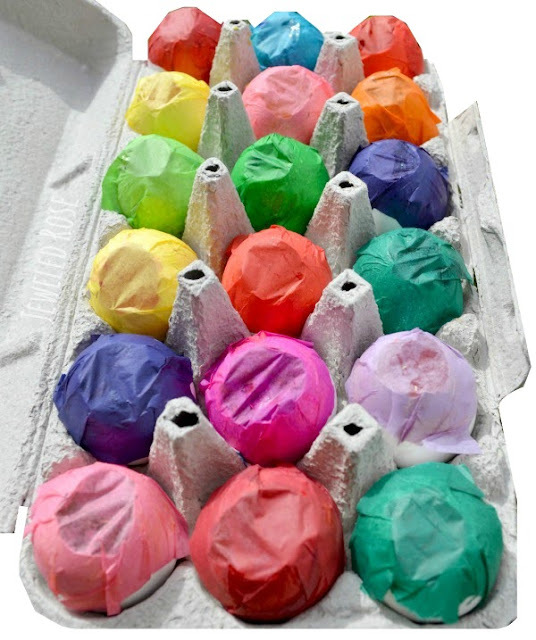 Cover one side of the square with glue, and then gently stick the tissue paper over the egg opening glue-side-down. Repeat this for each paint filled egg that you wish to make, and then allow the glue to dry. That's it! 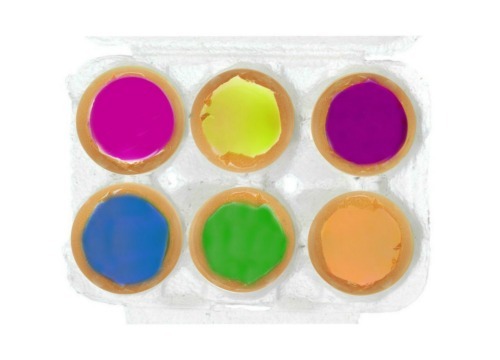 You now have PAINT FILLED EGGS! Your kids are about to have SO much fun, and you just might want to toss a few paint eggs, too! Once our paint eggs were ready we headed outside to create and play! 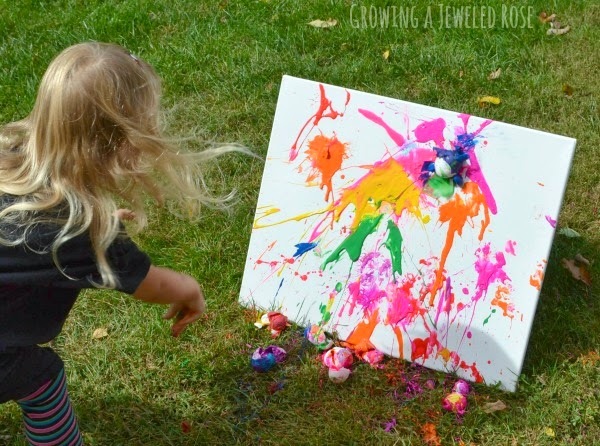 I set canvases in the grass for my girls, and they had a blast tossing the paint eggs at their canvas to make art. They watched in awe as each egg cracked and the paint splattered. The effects from the thrown eggs were so neat, and with each crack the girls were excited to discover the paint color inside! They wanted to toss egg after egg and had so much fun! 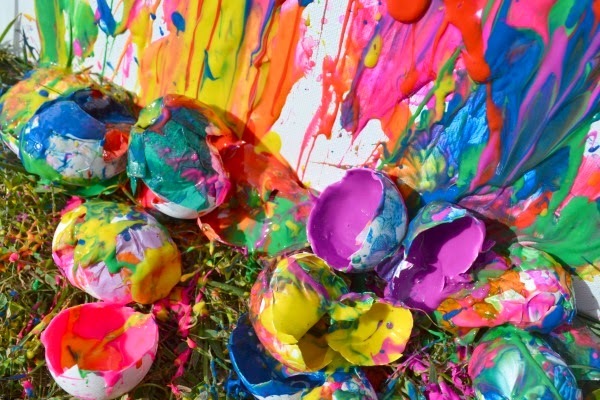 It wasn't long before all the eggs were thrown, but that was ok. Each egg was able to be tossed multiple times before it was completely cracked and emptied of paint. The artwork created from this activity turned out absolutely stunning, too! 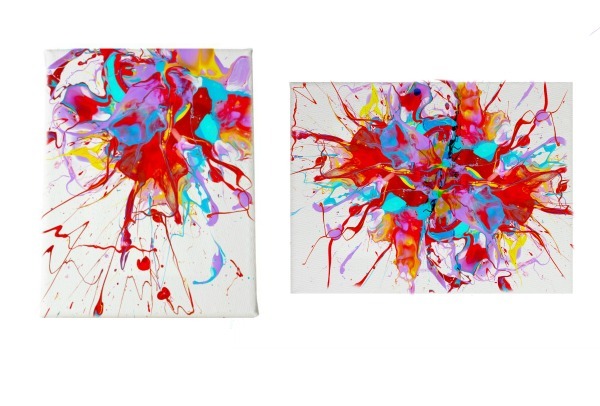 We now have beautiful splatter art to hang in our playroom! 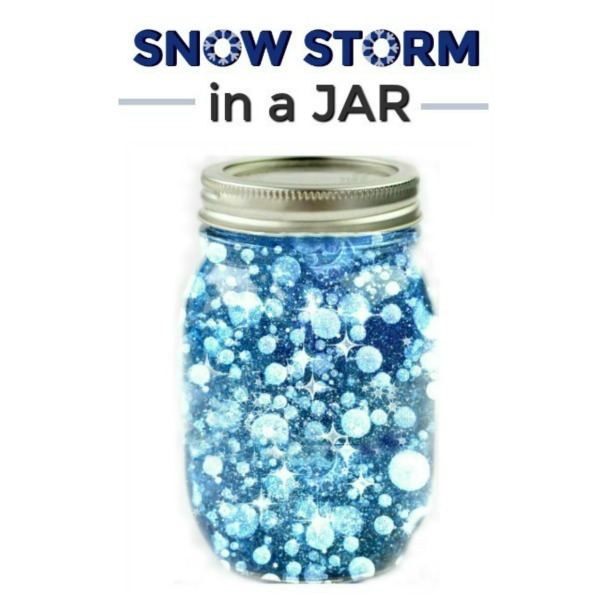 My girls absolutely LOVED this activity! They have already asked when they can make paint-filled eggs again, and one thing is for certain- we will be doing it again REALLY soon!